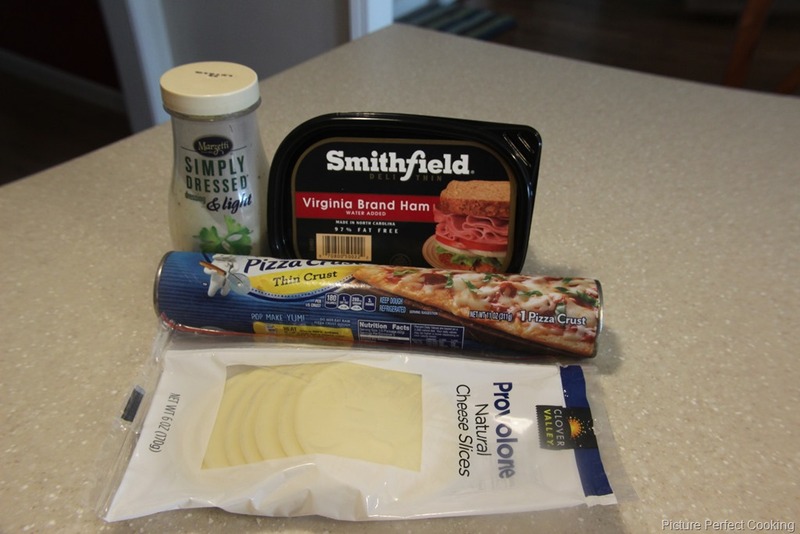 Ham and cheese sandwiches make great lunches and I love finding new ways to make them. 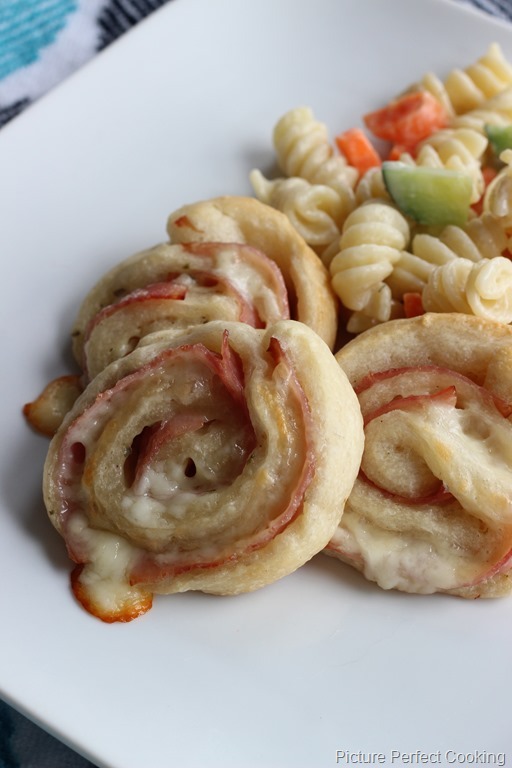 One of my all time favorites are these little Hot Ham & Cheese Rolls that I have made for years, but when I found these cuties at The Girl Who Ate Everything, I just had to try them! Her recipe was my inspiration, but I used some of our favorite flavors instead of the mayo/mustard combination. We loved them with Veggie Pasta Salad. Preheat your oven to 350 degrees and line a baking sheet with aluminum foil. Spray the foil with non-stick spray and set aside. 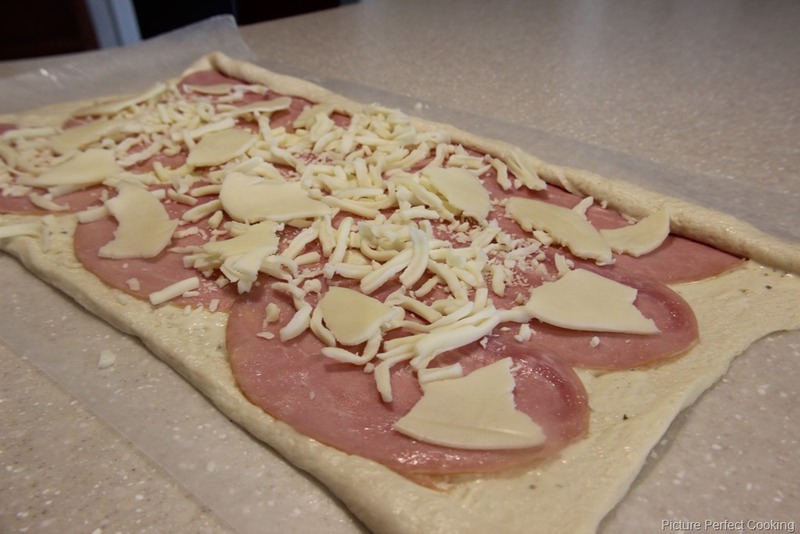 On a large piece of wax paper also sprayed with non-stick spray, roll our the pizza dough and form it into a rectangle. 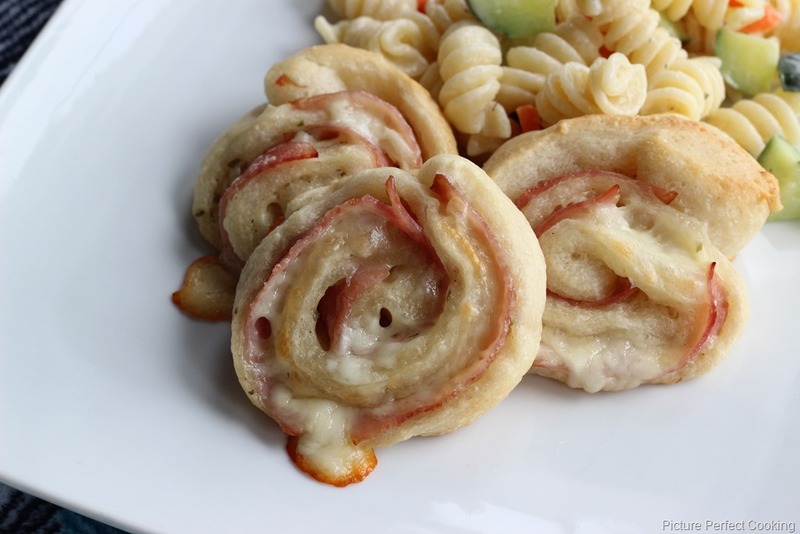 Spread the ranch dressing over the pizza dough and then layer the ham slices over that. You may need fewer or more slices to cover the dough depending on the size of your ham. Then sprinkle the cheese over the ham. Carefully roll the dough into a log beginning with the longest side. Chill in the freezer for 10 to 15 minutes so it will be easier to slice. Slice the roll into approximately 3/4 inch slices and place on the prepared baking sheet. 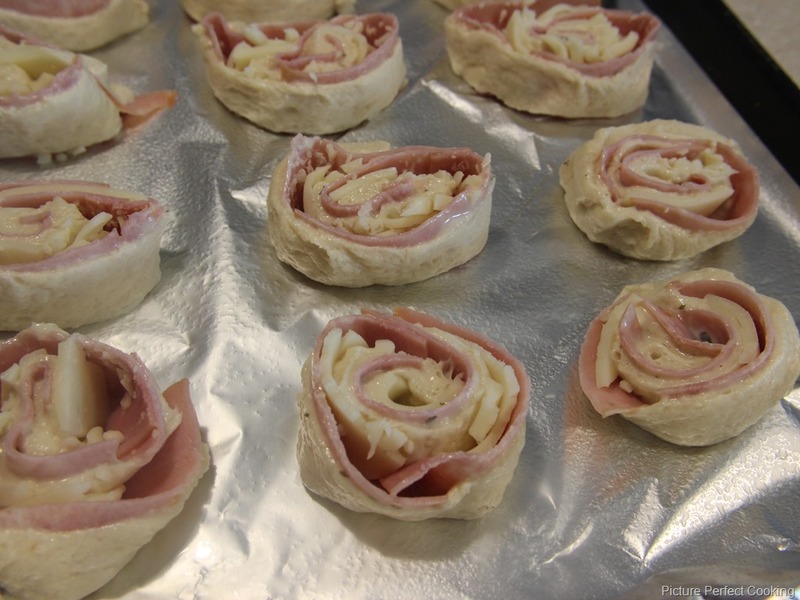 Bake for 10-14 minutes or until the crust is lightly browned and the cheese and ham are hot.